Getting into a wreck with a massive 18-wheeler is almost always the most devastating for occupants of passenger vehicles. The Insurance Institute for Highway Safety (IIHS) reports that 3,660 people died in truck accidents in 2014. Of those fatalities, 97 percent (1,966) were occupants of passenger vehicles while just 60 were occupants of large, commercial trucks. If you were injured in a crash with a large truck, you may be able to take legal action and recover compensation for your losses. 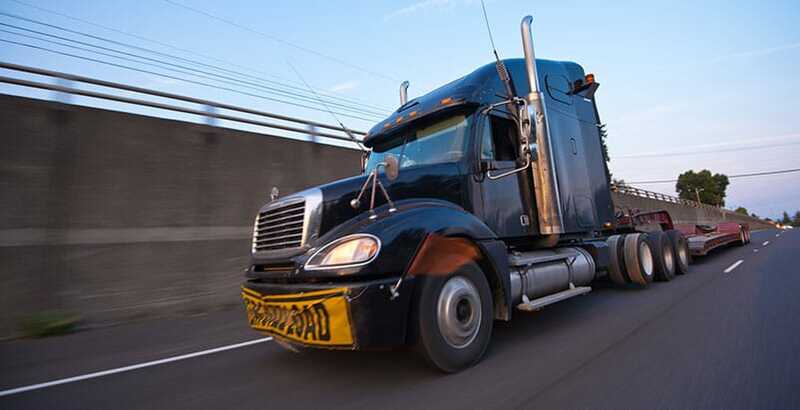 The Knoxville tractor-trailer accident attorneys at the Rocky McElhaney Law Firm makes it their business to fight to the finish on behalf of our clients who have been injured in a trucking accident. Come down and visit our office where you can speak to one of our friendly, experienced personal injury attorneys who are dedicated to protecting your rights and winning fair compensation when you have been injured. We fight for you! Distracted driving. Eating, texting, grooming and other activities that distract the driver’s attention behind the wheel. Improperly secured cargo. Unsecured, unbalanced loads, cargo that shifts and causes the truck to tip over. Drowsy driving. Hours of Service violations are one of the leading causes of truck accidents in Knoxville and throughout Tennessee. Drunk or drugged driving. Drinking and driving and taking illegal and even prescription drugs can impair a driver’s faculties causing them to crash. Road rage and reckless driving. A commercial truck driver who is tired, bored or frustrated might act aggressively towards other drivers and cause a crash. During the course of an investigation of a trucking wreck, the cause might become clear, but the trucking company’s insurance company can be quite adept at shifting the blame in order to limit their liability. Our Knoxville truck wreck lawyers are thoroughly versed in all of the tactics that insurance companies employ. We can be confident because we have the facts and we always gather plenty of evidence in order to present a compelling case on behalf of our clients. You can rely on Rocky’s team to represent your interests and fight for the compensation you deserve. In the unfortunate event that you have lost a loved one in a truck accident, the compassionate Knoxville wrongful death attorneys at the Rocky McElhaney Law Firm can assist you in filing a claim on their behalf. A wrongful death claim allows the decedent’s surviving loved ones to recover whatever compensation they would have been able to recover had they survived the crash. Economic, non-economic and depending on the circumstances of the accident, punitive damages may be available. Lawsuits involving injuries from 18-wheeler truck are never simple. We may be suing the truck driver, the fleet manager, the maintenance company and maybe even an equipment manufacturer. We are not intimidated by going up against corporate attorneys from big insurance companies. Our main focus is to hold those responsible for your injuries accountable to compensate you for your injuries and losses. The Rocky McElhaney Law Firm is your advocate and ally. Investigating truck accidents, determining liability and fighting for fair compensation is what we do. At the Rocky McElhaney Law firm in Knoxville fights for your rights when you have suffered a serious injury in a truck accident. To schedule a free initial consultation, please call 615.246.5549 or fill out our contact form. We are proud to help clients from all over Tennessee.